• Soft crew-neck sweatshirt featuring yellow glitter Shockers script outlined in white dots. • Made in Pakistan. • 60% cotton, 40% polyester. 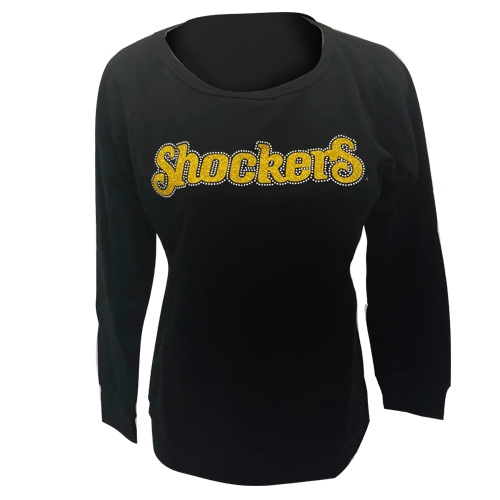 Please select option for Crew- Ladies Glitter Shockers Script.